WESTCHESTER, Ill. – Women with delayed sleep phase syndrome are more likely to report irregular menstrual cycles and premenstrual symptoms, according to a research abstract that will be presented on Tuesday at SLEEP 2008, the 22nd Annual Meeting of the Associated Professional Sleep Societies (APSS). The study, authored by Kari Sveum, of Northwestern University in Chicago, Ill., focused on 13 females with delayed sleep phase syndrome and 13 healthy controls. The subjects responded to a questionnaire regarding their reproductive health, including irregularity of their cycle and premenstrual symptoms, either in the past or present. According to the results, twice as many subjects with delayed sleep phase syndrome reported an irregular menstrual cycle compared to controls. For those not using birth control, three times as many subjects with delayed sleep phase syndrome reported irregular menstruation, compared to controls. Pre-menstrual problems, such as cramps and mood swings, were reported by 69 percent of those with delayed sleep phase syndrome, compared to 16.67 percent of controls. Sleep plays a vital role in promoting a woman’s health and well being. Getting the required amount of sleep is likely to enhance a woman’s overall quality of life. Yet, women face many potential barriers – such as life events, depression, illness, and medication use – that can disrupt and disturb her sleep. The hormonal and physical changes that occur during and after menopause can also affect a woman’s sleep. Sleep disturbances are more common, and sleep quality can decline. Insomnia related to menopause often occurs. Obstructive sleep apnea (OSA) is much more common in postmenopausal women. This increase may be due in part to menopause-related weight gain. But it also appears to be hormone-related. Estrogen seems to help protect women against OSA. * Make your bedroom a comfortable and safe place. Reduce noises and extreme temperatures that might disturb you. * Use light and comfortable bed linens and garments. * Begin rituals to help you relax at bedtime, such as taking a soothing bath or enjoying a light snack. * If you need to take a nap, keep it to less than one hour and take it before 3 p.m.
* Set aside time during the day to get all of your worries out of your system. * Increase vitamin E in your diet, or take a vitamin E supplement. * Hormone replacement therapy may help you sleep better by relieving severe hot flashes related to menopause. Ask your doctor for advice about this kind of treatment. * Only use sleeping pills when supervised by a doctor. 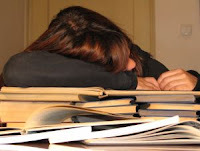 ### More information on “women and sleep” is available from the AASM at http://www.SleepEducation.com/Topic.aspx?id=67 .